At the start of GAVA’s implementation, many parks and green spaces in 78744 and 78745 had been historically been underfunded, limiting their usability. Lack of lighting invited crime, lack of amenities discouraged utilization, and limited programming prevented resident engagement in parks and recreation facilities. To increase physical activity access and utilization in these neighborhoods, GAVA has worked with the Austin Parks Foundation to hire and train a bilingual community organizer who engages residents and community leaders around 15 parks and green spaces across the two zip codes to leverage improvements including lighting, water fountains, playground and fitness equipment ADA-accessible infrastructure. These park and creek adopters are stewards of these areas, leading dozens of community events and beautification dates, engaging hundreds of neighbors and volunteers to activate the park. 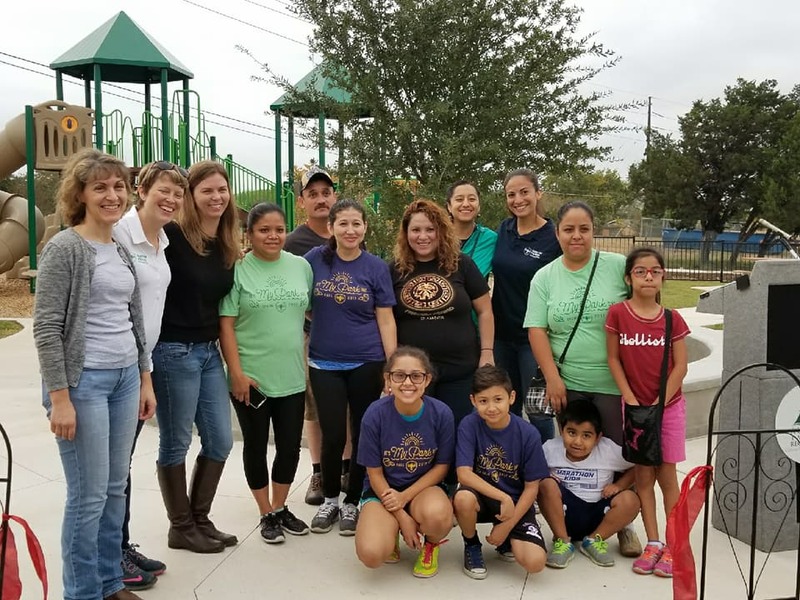 GAVA's physical activity sector, made up of these teams and leaders, has become a powerful voice for equitable funding during the City of Austin’s budget cycles as well as in the City of Austin's Open Space and Environment committee and the Parks and Recreation Department. 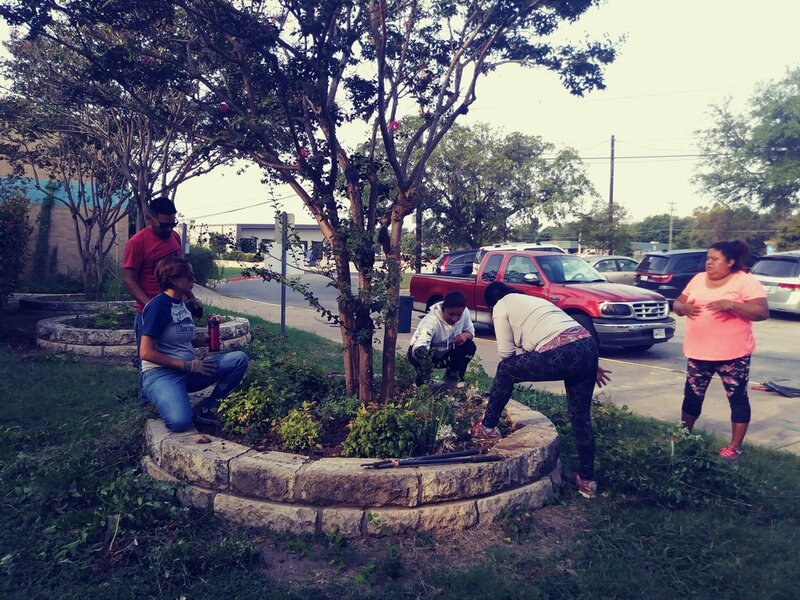 Through the Adopt-a-Park program, residents and neighborhood leaders have officially formed park adoption teams for eight city-owned parks and four Austin Independent School District park sites in 78744 and 78745. They are also stewarding four ¼-mile (or more) stretches of greenbelt along Williamson Creek. Ponciana Park Team - the ones that made the whole project possible! In the 2016 fiscal year budget, GAVA teams collaborated with Austin's Parks and Recreation Department to move City Council to allocate $1.15 million in park infrastructure improvements despite a tough budget year. 50% of these funds helped build improved play infrastructure in two GAVA parks: Ponciana Park (top left picture) and Odom Elementary School Park (bottom right picture). In 2016, GAVA teams worked with the Parks and Recreation Department to install water fountains, signage, benches, bathrooms, lights, playscapes, irrigation, sidewalks, and community gardens in green spaces across the zip codes. Resident advocates leveraged millions of dollars in much-needed basic infrastructure improvements, resulting in a measured increase of utilization in these spaces by 15%-30% across 15 sites. GAVA youth also raised funds to install permanent soccer goals in their parks and petitioned for an expansion of the Police Activity League (PAL) soccer programming to their zip codes. The adolescents also formed their own teams to coach younger students not served by the PAL program.